The Pathway Quilt top was finished Wednesday afternoon, so I did make my goal of completing it in September. 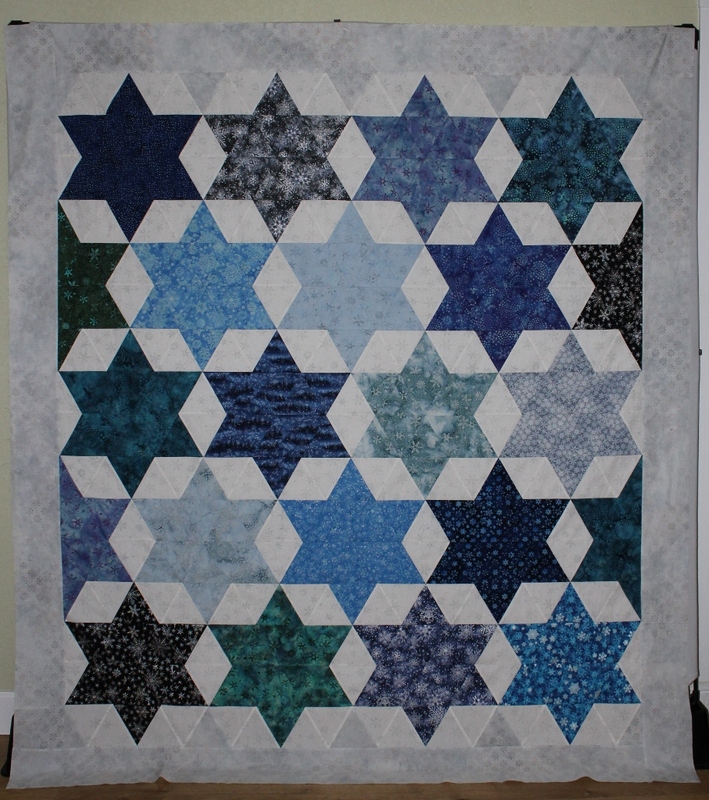 With the two rows added to complete the stars, the top now measures 72″ x 82″. I also included gray triangles in the top & bottom row so that the gray border looks more friendly with its neighbors. It will be fun to start the next star quilt – whichever one I decide on. Until that decision is made, I will be machine quilting a basket wallhanging that was pieced in 2011. I think it is about time that this one is a finished quilt. Looks very nice! Great job.